Fr. Patrick Devlin is a native of St Michael the Archangel Parish, Belfast. He was educated at St John the Baptist Boys’ School and La Salle Boys’ School. Fr Devlin commenced his seminary studies at St Joseph’s Seminary whilst studying philosophy at Queen’s University, Belfast. He then continued his studies with theology at St Patrick’s College, Maynooth. He was ordained to the priesthood in the Church of St Michael the Archangel on the 12th of October 1998 by the Most Reverend Michael Dallat. His first appointment was to St Patrick’s Parish, Belfast followed by St Anne’s. In August 2002 he was appointed to the Parish of St Oliver Plunkett, Belfast. In October 2008 he was appointed as curate in the Parish of Downpatrick, residing at St Colmcille’s. 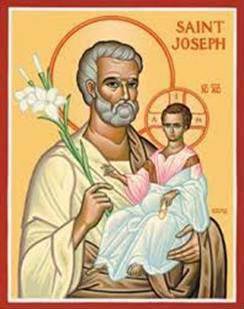 On 2nd August 2010, he was appointed as Parish Priest of St. Vincent De Paul, Ligoniel. 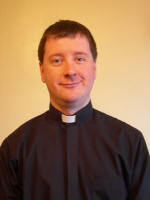 Father Patrick was appointed Full-Time Chaplin on 22nd August 2013 by Bishop Noel. He had previously been working with the deaf community as a part time chaplain for many years. Address: St. Vincent de Paul Presbytery, 169 Ligoniel Road, Belfast, BT14 8DP. Fr. Darach Mac Giolla Catháin is a native of St Michael the Archangel Parish, Belfast. He received his primary education at Bunscoil Phobal Feirste and St Oliver Plunkett Primary School and secondary education at La Salle Boys’ School, Belfast.He studied Accountancy at the University of Ulster at Jordanstown before studying Philosophy at the Queen’s University of Belfast and commencing formation for the priesthood at St Joseph’s Seminary. His formation continued in the Pontifical Irish College, Rome where his Undergraduate Theological studies were at the Gregorian University and Postgraduate studies in Spirituality were at the Angelicum University.Following a Deaconate year in the parish of Upper Mourne (Kilkeel), Fr Darach was ordained to the Presbyterate of Down & Connor in the Church of St Michael the Archangel by Most Reverend Patrick Walsh D.D. on the Feast of Our Lady of Fatima, 13th of May 2000.His first appointment was as a curate to St Paul’s Parish on the Falls Road and as a chaplain to the Deaf community. On the 9th of August 2002 he was appointed as a curate in the Parish of St Luke. On the 2nd August 2010, he was appointed as Parish Priest of Corpus Christi in Belfast and on 14th October 2016, he was appointed as PP of Sacred Heart Parish, Belfast. 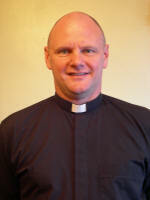 He continues to minister to the Deaf Community as well as being a Chaplain to the Irish Medium Schools in the Diocese. Denise Flack is a native of Belfast. After graduating from Queen’s University in 1980 with a B.A. in Scholastic Philosophy, she worked in Holland for a year, before further study in Wales and England, qualifying first as a mainstream teacher and then as a teacher of the deaf. During the remainder of the 1980s, Denise taught deaf children in Strabane, Bradford, Craigavon and Tecconnaught.In 1990, Denise headed to Bolivia as a member of Viatores Christi, spending over two years as a Pastoral Worker in the parish of Coroico. On returning to Ireland, she was appointed to the staff of Jordanstown Schools in 1993. In mid 1995 Denise returned to Bolivia. Her arrival coincided with funding for a new rural school for deaf students and she took up the dual position of first principal and administrator of the Centro Audiologico Multifuncional (CAM, situated in Punata in the Archdiocese of Cochabamba). Other activities there included teacher training and prison visitation. Denise returned to her post in Jordanstown in December 1997. She participated in the two year part-time Living Faith introductory theology course from 1998 to 2000. She also completed an M.Ed in the field of deaf education. She took up her present position as a Chaplain with the Deaf Community in August 2007 and is a member of the Northern Ireland Healthcare Chaplains’ Association. She continues to be an active member of Viatores Christi, and maintains links with Bolivian colleagues as they develop services to deaf people in that country. 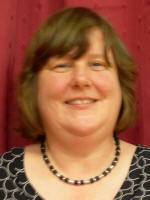 Denise is a member the National Chaplaincy for Deaf People Team with responsibility for the Northern Dioceses. She works closely with clergy throughout the North and is always happy to hear from parishes that may need her assistance in ministering to the Deaf Community.